Awakening of kundalini is very difficult. You can try the various yogic and religious practices that have evolved throughout the ages, but they require a lot of self-discipline and demanding austerities. There are so many do's and dont's that the average person finds unpalatable. Therefore, the Rishis of the Tantric tradition evovled a series of practices that could be easily adopted by every type of aspirant regardless of his lifestyle, habits, beliefs, and so on. Of course there are many practices belonging to Tantra, but of them all, Kriya Yoga is considered to be the most powerful and suitable for the modern day man who is enmeshed in this world. For many years, knowledge of this system of yoga was revealed to very few. The practices were mentioned in the tantric texts, but they were never clearly defined. 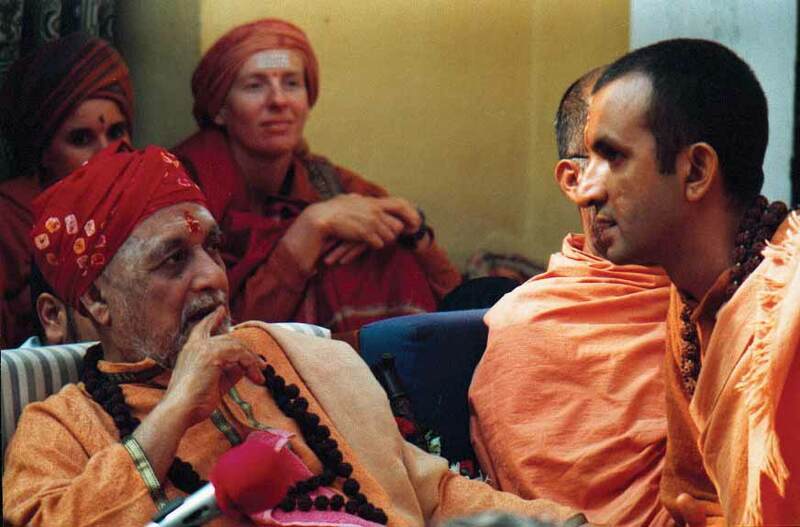 Through a tradition, the practices were handed down from guru to disciple. 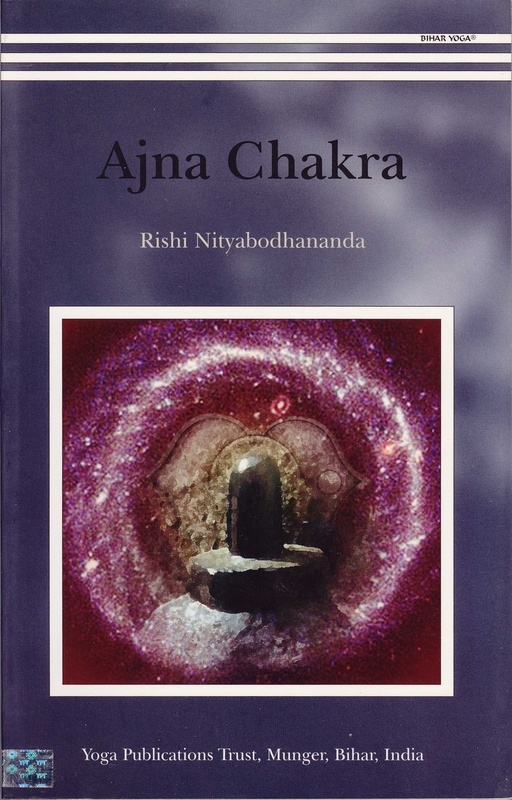 They were given to both house holder and monastic disciples, who soon discovered that through these techniques, kundalini became a reality and a real experience in their lives.The ultimate purpose of Kriya Yoga is to create awakening in the Chakras, to purify the Nadis, and finally, to awaken the Kundalini Shakti. The kriyas are intended to awaken the kundalini in stages and not abruptly. When kundalini awakens abruptly, the experiences you have are very difficult to handle and you cannot understand what is happening to you. The techniques of Kriya Yoga offer a smooth and relatively risk-free means of expanding your awareness and awakening the dormant areas of the brain. Also, this system of Kriya Yoga provides a means whereby you do not have to tackle the mind directly.Its practices arc based on Hatha Yoga, which aims at controlling the Prana. Mind and prana interact with each other and thereby, by controlling the prana, we can gain control of the mind. Kriya yoga means ‘the yoga of practice, movement or action’. Unlike the various religious, mystical or yogic practices which demand mental control, the special instruction in the system of Kriya Yoga is, ‘Do not worry about the mind.’ If your mind is dissipating or if there are distractions in your mind and you are not able to concentrate even for one second, it does not matter. You have only to continue with your practices, for even without confronting, controlling or trying to balance the mind, you can still evolve. This is an entirely new concept in spiritual life, and most people have probably never even considered it. When they take to a religion, commence spiritual practices or go to gurus, the first thing they are told is to control the mind. ‘You should think like this. Don’t think like that. You should do like this. Don’t do that. This is good. This is bad. That is evil. Do not sin.’ And so on. People think that the mind is the greatest barrier in spiritual life, but this is a very wrong and dangerous concept. The mind is a bridge between this and that, so how can it be a barrier? An idiot thinks it is a barrier and he tries to destroy that bridge. Then when he has destroyed it, he wonders how he’ll get to the other side. This is the ironical fate of most people, and unfortunately it is the religions, ethics and morality that are responsible. The people who are less aware of ethics and morality have no mental problems. They are very good, happy go lucky people. Dissipation of mind is not necessarily the fault of the mind. Distractions can be due to hormonal imbalances, bad digestion, low influx of energy in the nervous system and so many other things. Never blame the mind for its restlessness, and don’t consider yourself to be an impure, bad or inferior person because your mind jumps all over the place, thinking negative things and what you consider to be evil thoughts, etc. Everybody has negative thoughts and distractions of mind, even a compassionate and charitable person, a peaceful man, a chaste and pure person. Dozens of factors could be the cause of a distracted mind. Suppressing the mind and calling it back again and again is not the way to concentrate the mind, it is a way to the mental hospital. After all, who suppresses or calls back who? Are there two personalities or two minds in you? Is there one bad mind which keeps wandering off and one good mind which tries to bring back the bad mind? No, there is only one mind and you should not create a split by antagonizing the mind. If you do this, one part of the mind becomes the dictator and controller and the other part becomes the victim. Then you’ll develop a great gap between two aspects of your mind and personality and within a very short time you’ll be come totally schizophrenic. It is necessary to understand this point very well, because our religions, philosophies and ways of thinking have not been very systematic, loving and tender in their approach to the mind. We have always been led to believe that the mind is very mischievous, but this is a grave mistake. Therefore, please try to redefine the mind and approach it scientifically. Mind is not a psychological stuff, nor is it a thought process. Mind is energy. Anger, passion, greed, ambition, etc are waves of that energy. Through Kriya Yoga you are trying to harness the energies of the mind, but you should not try to suppress this energy because it will explode. And the more you suppress this energy the greater will be the ultimate explosion. Kriya yoga is very clear in its approach to the mind. It emphasizes that you do not try to do anything with the mind. If your body protests about maintaining a fixed posture, change it. If your mind objects about closing the eyes, keep them open. But you must continue with the Kriya Yoga practices because they have a direct effect on the deeper processes of the body which are responsible for the state of your mind. Remember that the body affects the mind and the mind affects the body. We should not consider the techniques of Kriya Yoga as practices of concentration or meditation as their aim is not mental control. The beauty of Kriya Yoga is that you have only to remain relaxed and let the mind move naturally and spontaneously. Inner awareness will then awaken, and in time, your mind will automatically become one-pointed. As you know, we are all aspirants of a different caliber. Sone of us are tamasic, some are rajasic and a very small number are sattvic. Of course we are not purely sattvic, rajasic or tamasic. Predominantly we are one of these, but we retain traces of the other two gunas. The tamasic mind has traces of rajo guna, and as it evolves, it retains traces of tamas, but it is now pre dominantly rajasic. It also develops traces of sattva. As it evolves further, it becomes more rajasic and may or may not have traces of tamas and sattva. Next, it becomes predominantly sattvic, with traces of rajo and tamo gunas here and there. And then in its fifth stage of evolution, the mind becomes totally sattvic, manifesting rajo and tamo gunas very rarely. These five stages are like rungs on a ladder, representing the evolution of chitta or the mind. The lowest rung is known as the inert mind. The second rung is the scattered mind, the third is the oscillating mind, the fourth is the one-pointed mind and the fifth is the controlled mind. Now, if you belong to one of the first three categories, and most of us do, after practising Hatha Yoga, you should take to Kriya Yoga. If you belong to one of the last two categories, then after Hatha Yoga, you can take to Kriya Yoga if you want, or you can follow the path of Raja Yoga or any other path which asks you to concentrate through willpower. When you are at the sattvic level you can deal with the mind through the mind, but when you are at the tamasic or rajasic level, if you try to deal with the mind through the mind, you will cause a mental crisis. ln this world, there are very few sattvic people. Most of us have a very restless and distracted mind, and we find it impossible to focus on one object or theme for very long. You know what happens if you light a candle when the wind is blowing? The same thing happens when most people try to concentrate. The fluctuations of the mind totally annihilate the one-pointedness. So, the Kriya Yoga practices were designed for those people who are unable to control, concentrate or stabilize their mind and for those who cannot sit in one posture for a prolonged period of time. Whether you are sattvic, rajasic or tamasic, the practices of Hatha Yoga should be taken up first. A tamasic person needs hatha yoga to awaken his mind, body and personality. A person who is rajasic needs hatha yoga to balance the solar and lunar energies in his body and mind. And a person who is sattvic by temperament needs hatha yoga to help him awaken kundalini. Hatha Yoga is for everybody. And if you have been practising Asanas, Pranayama, Mudras and Bandhas consistently for two years or more, then you are ready for Kriya Yoga. Hatha Yoga is the basis of Kriya Yoga. There are many Kriya Yoga practices, but a combination of 20 is considered very important and powerful. These 20 practices are divided into two groups. One group is to be done with the eyes open, that is the first 9 , and the other group, comprised of 11 practices, is to be done with the eyes closed. For the first group of practices, the central instruction is, ‘Do not close your eyes.’ Even though you feel very relaxed and have a tendency to go within, you must not close your eyes. You can blink, you can rest, you can stop the practices for a minute, but each practice must be done with the eyes open. This is a very important instruction for Kriya Yoga practice. When your body has been purified by hatha yoga, pranayama and a pure diet, this nectar is assimilated by the body, and as a result of this, you experience a high mental state. When the nectar returns to its source in the higher centers of the brain, and is not consumed by the sun, you begin to feel a sort of calmness and quiet ness. Even if your mind was distracted, confused, wandering and vacillating a few moments before, suddenly all these activities come to an end and you feel total brightness. Your eyes are open, you can hear sounds and see everything around you, but the mind does not move. It appears as if time, space and object have ceased and the whole universe has stopped functioning. The main hypothesis or contention here, is that you can influence the structures of the body; you can create a change in the energy forces. And by creating a change in the physical secretions, by altering the chemical proportions and the energy proportions in the body, you can create an effect on the mind which you may call shanti, dharana, dhyana or samadhi. This means that even when your mind is totally undisciplined and you cannot handle it for a second, if you are able to create the correct proportion of secretions in the different areas of the body/mind, then the higher state can be achieved. You know what happens if you take a dose of ganja (marijuana)? Take a few puffs and see what happens to your mind. It slows down and the brain waves change from theta to beta, from alpha to delta. Suddenly you feel calm and quiet. What happened to your mind? You didn’t fight with it. I’m not advocating the use of ganja, I’m just giving you a very gross example of how Kriya Yoga works on your mind. By infusing ganja or some hallucinogenic drug, the chemical properties of the gross body change. The heart slows down, the breathing rate changes, the brain waves alter and the mind becomes calm and still. Is it not possible to arrive at the same point through Kriya Yoga? Yes, this is exactly what is accomplished through Kriya Yoga. The various practices of Kriya Yoga, particularly Vipareeta Karani Mudra, Amrit Pan, Khechari Mudra, Moola Bandha, Maha Mudra, Maha Bheda Mudra, etc. regulate the nervous system. They harmonize the pranic forces in the body and equalize the quantity and effects of the positive and negative ions. More than that, they help you to attain a state of peace and tranquility with out beating, kicking and abusing the mind. ‘All this is a result of having induced the flow of certain unused and natural chemicals of the body. Amrit is one of those chemicals and through a practice known as khechari Mudra, it can be made to flow. Khechari Mudra is a simple but very important technique which is utilized in most of the kriya yoga practices. It involves folding the tongue back and placing it against the upper palate. In the course of time the tongue gets elongated and can be inserted into the nasal orifice. Then certain glands which are connected with the cranial passage and bindu visarga are’ stimulated, and as a result, amrit or nectar begins to flow. When amrit is released you experience a special type of ‘high’ or intoxication. It might take you a few years to perfect Khechari Mudra and to stimulate the flow of Amrit, but it is well worth the effort. When you sit for meditation the mind is perfectly still, it cannot move and you cannot think. There is Shoonyata, an experience of total nothingness. If you are practising mantra you feel that somebody else is practising and you are only witnessing it. This is considered a very important experience because it puts you in touch with the external and internal experiences at the same time and you are completely aware of your self. You attain a state where you are simultaneously aware of the world of mind, senses and objects, and the world of inner peace, tranquility and relaxation. When there is perfect harmony in the nervous system, coronary behavior is in inertia, body temperature is low and alpha waves are predominant in the brain, how can the mind move? This is the philosophy of Kriya Yoga. If through the yoga practices you have been doing, you have reached a point where you find that although concentration has been achieved, inner peace has been experienced and you can maintain total quietness of body, mind and spirit for a prolonged period, but still you feel there is something more to achieve, you are definitely ready for Kriya Yoga. Peace of mind, relaxation and proper understanding, which are fruits of spiritual life, are not an end in themselves. The ultimate purpose of Yoga is to change the quality of experience and to change the quality of the mind and its perception. What man has aimed to achieve through Yoga is expansion of mind and liberation of energy, and in essence, that is Tantra, and that is the ultimate goal of Kriya Yoga.